Charming brick ranch with finished basement on a quiet tree-lined street in Littleton’s Maple Ridge neighborhood. This wonderful home is move-in ready and offers great potential with five bedrooms, three bathrooms, a fantastic layout, and newly refinished hardwood floors. Wide-open and bright, the spacious kitchen maintains abundant cabinet and countertop space, tile backsplash, a breakfast bar, and all appliances remain. Highlighted by a cozy, wood-burning fireplace, the adjoining dining room provides effortless flow, with convenient access to the patio and backyard. Just beyond, the sunny living room and adjacent casual dining space offer plenty of room to spread out or entertain. The beautiful hardwood floors extend throughout the main level which also encompasses a master bedroom with private bath, two secondary bedrooms and a hall bath. Finished basement features a large rec room, two additional bedrooms, a three-quarter bath, and tons of storage. Attached two-car garage. 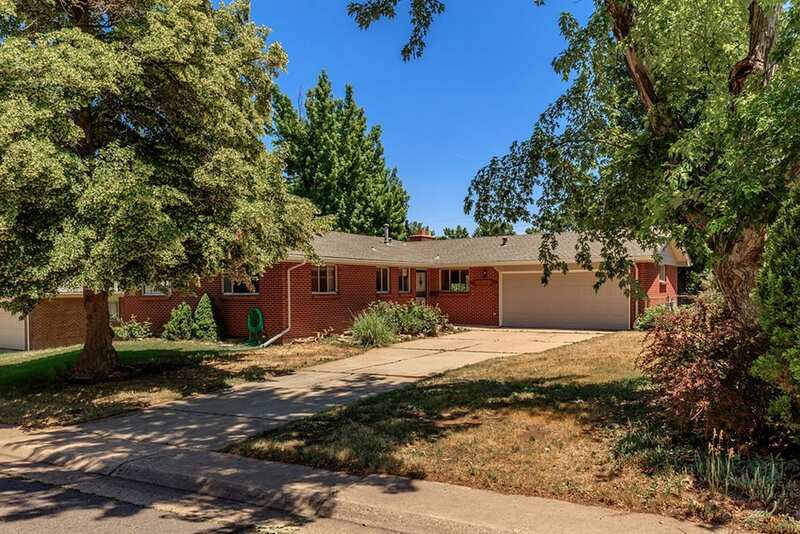 This classic home is just a short walk to Little’s Creek Park, Highline Canal Trail, and restaurants, with easy access to the Denver Tech Center and several major routes. Don’t miss out on this wonderful opportunity!